Just wanted to whip up a quick post to update you all on the latest news in Sheldon-land. I’m terrible about blogging frequently, so there’s always so much to report! I can has SAG Card? 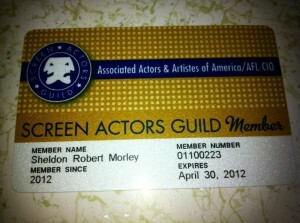 I’ll start with the biggest news first: I am now officially a member of the Screen Actors’ Guild! Thanks to the generosity of many of you, and a year of saving, I finally managed to scrape together the exorbitant initiation fee (just in time for the merger)! 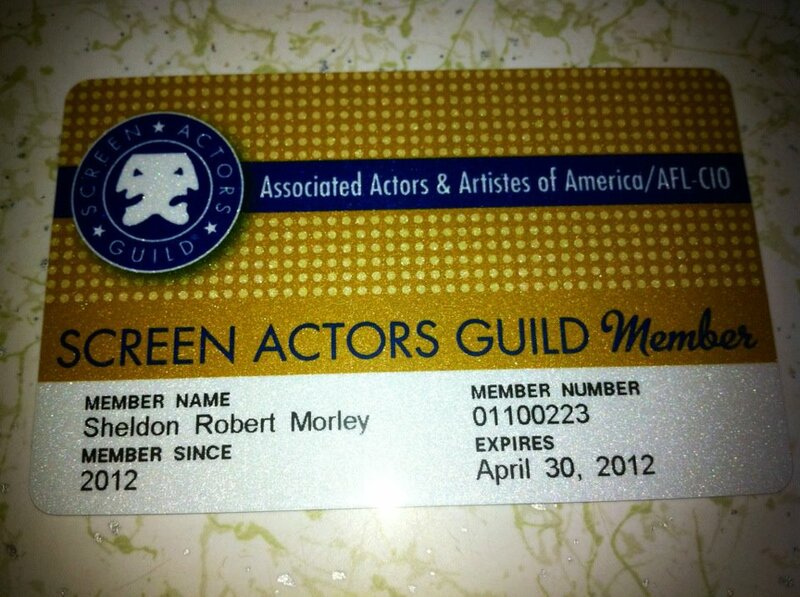 I began my professional acting journey a bit later than most, so this represents a huge step toward breaking into an industry in which most actors my age are considered “too old”. I’m excited about the doors that union membership will open for me, and I’m so grateful to everyone who supported my push to join, whether it was financially, emotionally, or professionally. I couldn’t have done it without you! Next up: music! The Bad Bad Things recently completed recording our brand new self-titled EP, and we’re working hard to get it into your hot little hands as soon as possible. I suspect we’ll be pushing it through Reverb Nation, iTunes and, for all of you old-school-types, compact disc. I’ve heard the tracks and they sound pretty damn good, so keep your eyes peeled for details on the release party. Oh, you didn’t think we’d release something without throwing a big ol’ party, did you? For shame, pretty babies, for shame. The band will also be playing a show on Saint Patrick’s Day at Joxer Daly’s Irish Pub in Culver City. It’s one of my favorite places to play, so I’m really psyched about getting to spend St. Patties there with a couple hundred of my drunkest, rowdiest friends. If you don’t already have plans, come on out and say hi! If you DO already have plans, cancel them and come out and say hi! The date is March 17th, and I hope to see you all there. Now with 20% more photobomb! 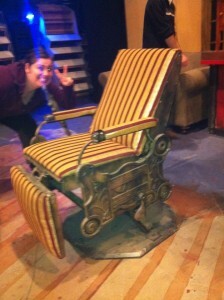 Finally, I am currently in rehearsals for the Morgan Wixson Theatre’s production of Sweeney Todd, opening March 10th. Rehearsals have been pretty challenging (Sondheim!!!! ), but the ensemble is extremely talented and it’s really turning into a kickass show – disturbing, but kickass. I encourage all of you theatre-lovers to come check it out! Attend the tale of Sweeney Todd! Details can be found here. So that’s that, my friends. Thank you all, for your constant love and support. It means the world to me.